Domaine de Keravel welcomes you for your holidays as well as for different events. Your stays will remain unforgettable in this 5-hectare park, located near the beach and equipped with a large swimming pool and a tennis court,. Cottages, apartments, safari tents, bungalows. 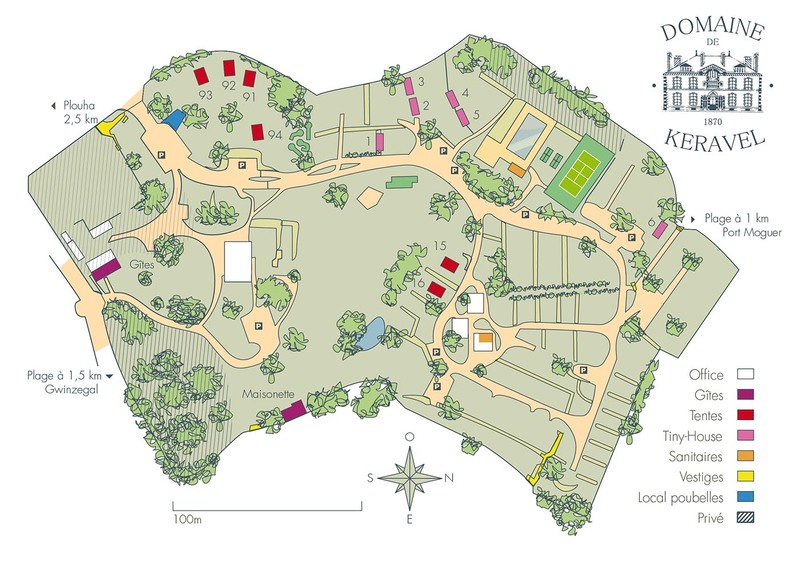 Domaine de Keravel is a 5 hectare park with large reception rooms. Ideal for your wedding and family receptions, as well as for seminars. We have about 90 beds distributed between cottages, apartments, bungalows and luxury tents. Domaine de Keravel is a house built in 1870 in a romantic and wooded park, with a swimming pool and a tennis court. It is ocated in Brittany and more specifically in Plouha in Côtes d’Armor.